Maximum Speed: 75 MPH Length: 50' 6"
Train Brakes: Vacuum Only Height: 12' 8"
Train Heating: Steam Heat Boiler Width: 8' 10"
D5054 is one of just four preserved examples from the original 151 strong fleet of locos and was amongst the first Diesel locomotives to be based at Bury, arriving in 1987. 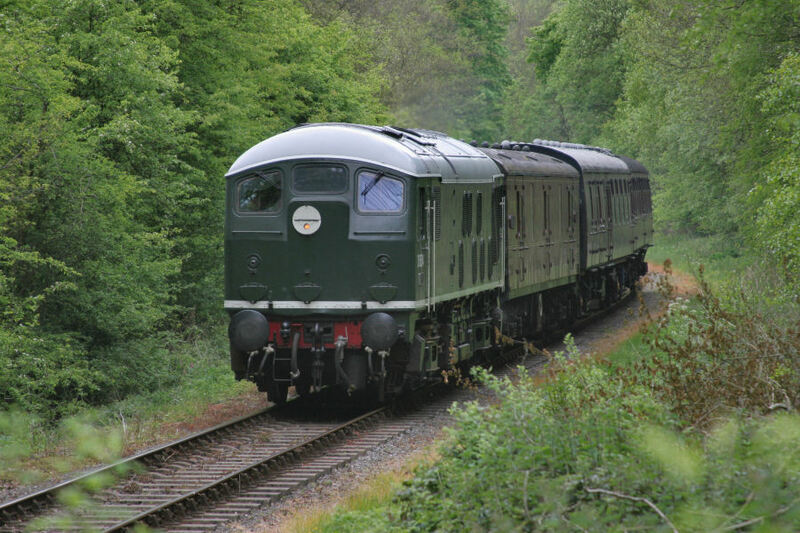 Livery wise, D5054 ran for many years in a non-standard BR Black scheme, had a short period in Load Haul and the current British Railways Green. 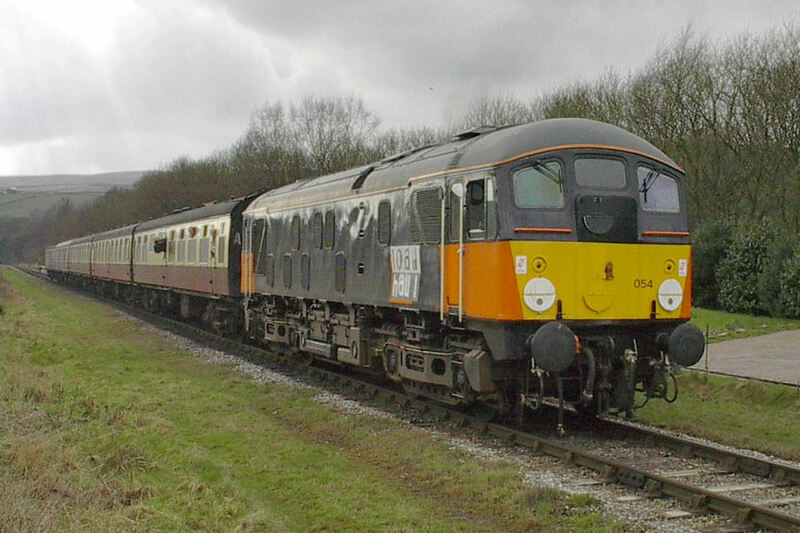 Phil Southern was an early member of the ELR going back to the original base at Helmshore. When the ELR moved to Bury he became a director of the Railway responsible for electrical maintenance and projects. 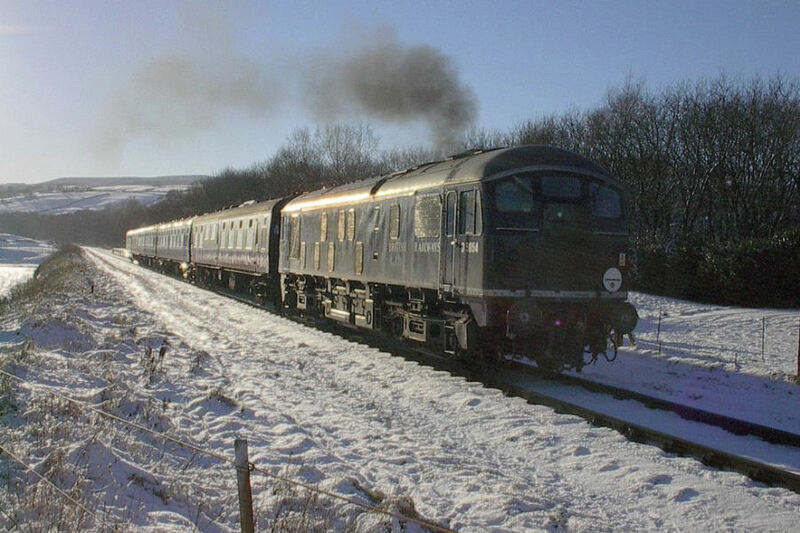 Phil was one of the pioneers who got the Bury to Rawtenstall line re-opened for passenger service for both steam and diesel. Naturally he was a member of the Bury Type 2 Group and sadly was the first member to pass away. It was thought by the majority of the group that D5054 should carry his name in memory of Phil and his great works at the ELR. 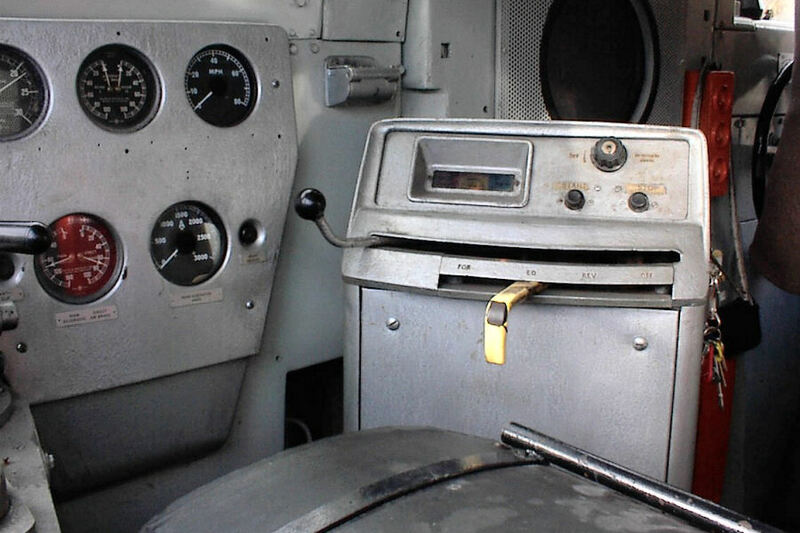 The 24 has always been a solid performer but is currently stopped and undergoing a major overhaul including work to the main generator, proactive maintenance rather than the result of a failure. Other projects and operational demands have slowed progress on 5054 but the generator and power unit are nearly ready to be split so that the former can be sent away for overhaul. 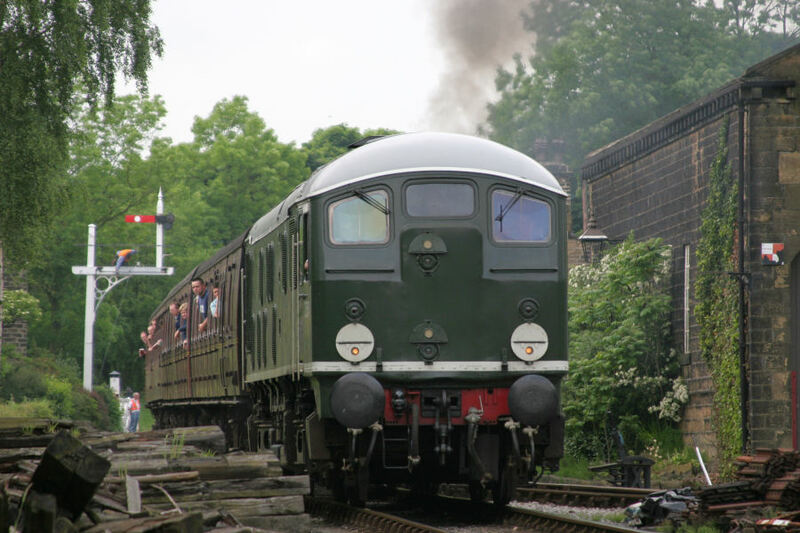 As of mid-July 2014, D5054 was transported by road to Barrow Hill for the generator to be split from the power unit and sent away for overhaul. Arranging this work proved difficult and, as of early 2017, the loco returned to Bury. Since arriving home, the generator and traction motors have been away for overhaul, cleaning and service and meanwhile, various work has been undertaken on the locomotive including the bogies, power unit and general maintenance. 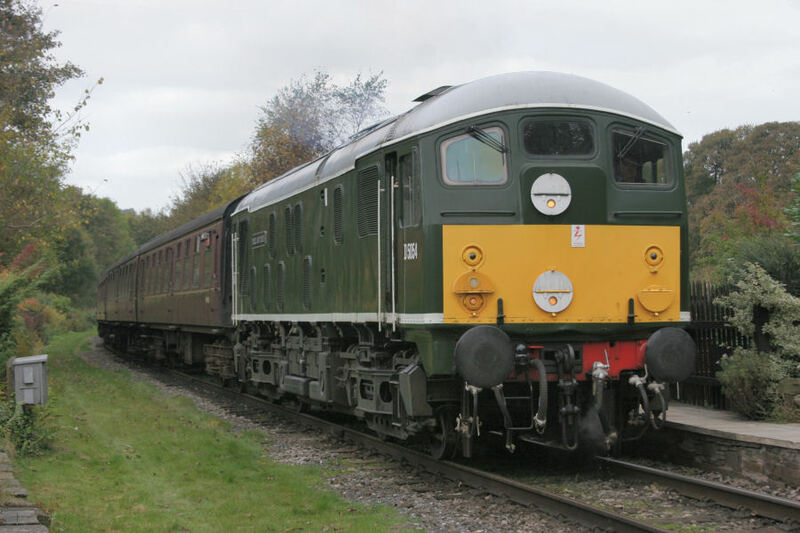 Following a full repaint, D5054 was relaunched to traffic at the >Sulzer Theme Day on Saturday 16th of February, with additional running on Sunday the 17th with 33109.